Carlos Holmes Trujillo told the U.N. Security Council that 'there is no excuse for ex-combatants to betray their commitment'' to the historic 2016 cease-fire agreement that ended more than half a century of conflict. He warned that those who 'betray'' the agreement 'will receive the full weight of the law'' and lose all benefits under the peace deal. 'Regardless of their motivations, this development has underlined the continued fragility of the peace process, owing in particular to the persistence of violence in the zones of conflict linked mainly to criminal groups,'' Guterres said. On Aug. 31, Colombia's lead prosecutor said two former FARC commanders who helped negotiate the 2016 peace deal - Luciano Marin, who is more commonly known as Ivan Marquez, and Henry Castellanos - had abandoned their camps and their whereabouts were unknown. Guterres stressed again that the process of reintegrating former rebels 'is facing daunting challenges,'' citing weak or absent state institutions, the impact of 'illegal economies,'' and relentless efforts by armed groups to lure ex-FARC members into their ranks. FILE - Jean Arnault, of France, the head of the U.N. political mission in Colombia, attends a press conference in Bogota, Colombia, Oct. 10, 2016. He said the government's newly resumed National Council on Reintegration must learn lessons from the failures of the council under the previous government. Those include the need to connect reintegration 'much more directly'' to local development, empower local authorities, and forge links to the private sector, universities and others willing and able to assist in reintegration, he said. Arnault also cited the issue of physical security for FARC members, saying 74 ex-combatants had been killed outside the government security umbrella since the peace deal was signed. 'It is imperative'' that measures be taken to address security risks, he said, noting that police have started to provide former FARC members with training in self-protection and the government and U.N. have increased monitoring of the security situation. Arnault also said it was unfortunate that 'the tragic killing of social leaders continues,'' citing the killing over the weekend of the coordinator of a coca crop substitution committee and his two sons in the department of Cauca. 'That this leader was promoting a government-sponsored program that is part of the peace agreement illustrates the brazenness of the killers and the pressing need to mobilize state institutions for the prevention and prosecution of these crimes,'' he said. FILE - Ivan Marquez, a former leader of the Revolutionary Armed Forces of Colombia, pauses during a press conference in Bogota, Colombia, March, 8, 2018. Several former rebel leaders, including chief peace negotiator Ivan Marquez, have gone missing and have accused the Colombian government of abandoning its obligations under the 2016 peace deal. Marquez is under investigation in the U.S. for allegedly negotiating cocaine sales to Mexican cartels after the accord was signed. His nephew was arrested on a U.S. warrant and is cooperating with prosecutors in New York in a case against another former rebel negotiator. 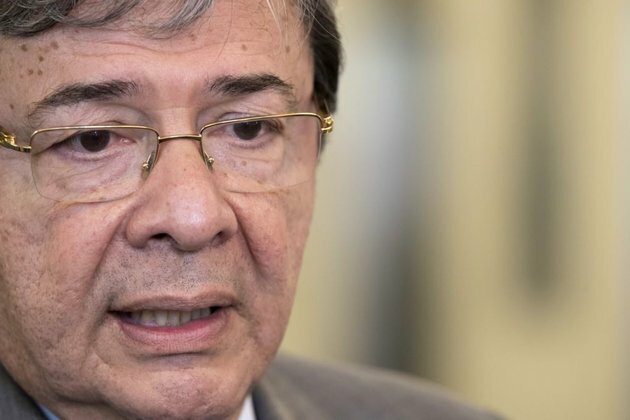 Other FARC leaders, including former top commander Rodrigo Londono, the head of their fledgling political party, have been less hostile to the government and have urged Marquez and others to stick to their commitments.